Acts 5:17-19 – “Then the high priest rose up, and all those who were with him (which is the sect of the Sadducees), and they were filled with indignation, and laid their hands on the apostles and put them in the common prison. The plot thickens. 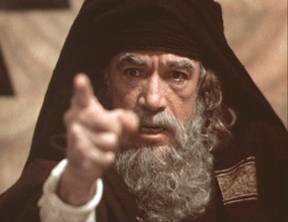 The next morning finds the apostle back in the temple preaching, while Caiaphas and the Sanhedrin were in secret council awaiting the return of the temple guards sent to bring the apostle back to inquisition. What an apologetic bunch of red-faced, fearful military guards when they returned to this auspicious group empty handed. Then the captain of the temple security guard when with his officers and ‘diplomatically’, as the Bible says “without violence”, brought the apostle into the Sanhedrin ‘for they feared the people lest they should be stoned. What a fascinating statement. Here was not a group that had total power and authority. The Jews were always known to be hot-headed and stubborn and even more so with each other. The Sadducees were diplomats. They waged their battles carefully with their fellow Jews. Truly they had the Roman authorities on their sides but the zealots and the Sicarii had no respect for Roman authority and were to be feared. This is a critical passage in the bible. The blood curses on the Jews by Christians over the centuries must be tempered by the fact that Peter and the apostles were Jews. The people whom the guards feared were Jews. The Hebrew Nazarene Ecclesia in Jerusalem was a Jewish sect or party. They were all worshippers of the God of Abraham, believers of the Torah and the Mosaic Law, worshipping in the temple that was open for “Jews only” to worship for gentiles could enter only upon pain of death. It was a group of Jews accusing the High Priest which was politically stacked with the House of Annas in the Sanhedrin that it was not the Jewish people nor was it the Romans who killed Yahshua, but they were murdered by Caiaphas and the Sanhedrin. The blanket curse and accusation by the any Christian that the “Jews killed Jesus” arises out of the deep anti-Semitic animosity and hatred that has been cultivated by orthodox Christianity over the last seventeen centuries since the Council of Nicea in 325 CE. But what happened to the cross? It is a Roman cross or was it a tree in which Jesus was crucified upon? Is it possible that the meaning of the word cross has been corrupted over the last two thousand years? This word, tree comes from the Greek word, xulon, (xoo-lon), (Strong’s 3586) is quite unique in its application. Its literal meaning is a stick, club, tree, timber or other wooden article of substance, such as a staff, stocks, tree or wood. At the same time, the word, cross, stauroo (stow-roo), (Strong’s 4716) means to impale or crucify on a stauros (stow-ros) a stake, post set upright as a n instrument of capital punishment. So a cross could be a tree and a tree could be a cross. But which is it? Let us look closer. Luke 23:31 - “they do these things in a green tree”. Acts 13:29 - “they took Him down from the tree and laid Him in a tomb”. Revelation 22:14 - “Blessed are those who do His commandments that they may have the right to the tree of life, and may enter through the gates into the city. Here we have a pattern for the tree that is a cross. The same author, Luke, in the gospel of Luke, which said that a tree is a green tree also in Acts states emphatically using the powerful words of the Apostle Peter that this word specifically applied to Jesus hanging on a tree, taken down from a tree or bore our sins on a tree. Yet the distinction between Roman cross and the tree is still not clear. Yet in Revelation, what an eye catcher! The word xulon, is referenced to the tree of Life. Was the crucifixion of Jesus corrupted by the early orthodox Roman Christian Church to mean the cruel, demeaning, and horrible instrument of Roman punishment when actually the Lord of hosts wanted us to know that Jesus was actually killed on the living tree of Life as an object lesson of the true ‘wages of sin’? Shaul attacks James the Just on the Temple steps. 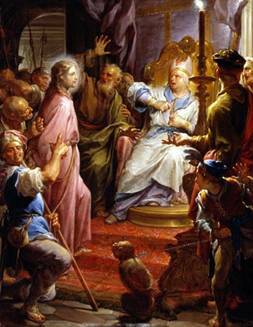 Prior to the stoning of Stephen, while Caiaphas and his father-in-law, Annas were in control of the temple, it is important to investigate another earlier event, not recorded in Acts, in which the leadership of the Nazarene Ecclesia were challenged to a public debate with the Temple leadership over the claims that Yahshua was the messiah (Moshiach) of the Jews. This debate was to take place on the interior temple steps in front of the population. The Nazarene leaders felt this would be a good opportunity to present their message of the risen Christ to the Jerusalem populous. The account of this event virtually became extinct, except in the poorly preserved 4th century Latin translation by Rufinus of Aquileia of the 3rd century work, The Recognitions of Clements. This latter work was attributed to Clementus Romanus, the disciple of Barnabus, who was brought to visit Jerusalem and eventually became the third nominated bishop of Rome, dedicated by the Apostle Peter himself. These Nazarene traditions were preserved who were later recognized by the ascending Roman orthodox church as the extreme ascetic branch of the Nazarenes of the Zadok-Essene tradition, called the Ebionites. Scholars suggest that this account in the Recognitions of Clements is also dependent on earlier documents, now extinct, called the Preaching of Peter and the Ascents of Jacob. charging Peter, a man not officially educated in the Pharisaic schools in Jerusalem as portraying himself as a ‘teacher’ or rabbi. Let us dissect this critical event in the early history of the Nazarene Ecclesia very carefully. Epiphanius was the first recognized church historian for the Roman orthodox church, who felt that the books, the Recognition of Clements and the Ascents of James represented books of heresy. Later on in church history, all books of heresy were called Gnostics, but we must be careful to recognize that there were many competing ideologies and factions that were trying to gain control over the Jewish and later the Christian congregations. Yet Epiphanius, as a historian, still recognized that religious texts of opposing ideologies did still give historical accounts that were valuable in understanding the growing ecclesia of the apostles in Jerusalem. From every appearance, the writers of the Ascent of Jacob did have a case against the Apostle Paul, who in his rash younger days did oppose and persecute the leaders of the Hebrew Ecclesia in Jerusalem and sought to kill James the Just during a debate in the temple against the leading rabbinic scholar in Jerusalem and the Ab Beth-Din, the Chief Officer of the Sanhedrin, Gamaliel. If this historical event is accepted even in part, then there was a very personal relationship, though initially acrimonious between Paul and the Apostle Jacob the Just. Relating this formula to the relationship of the Pharisee Shaul and the powerful oppositional high priest and leader of the Nazarene Ecclesia, both Rabbi Shaul and James the Just did have a very personal and intimate relationship. Yet there was truly conflict between these two opponents in the Jewish first century temple culture, Paul the flaming zealot and guardian of the Law and the sacrificial system of the temple culture and James the James, who probably was the Righteous Teacher of the Essenes, the leader of the Yahshua movement in Judea, and Oppositional High Priest or Nasi of the Hebrew Nazarene Ecclesia of Israel and also the zealot for the Law of Moses. Their main conflict was over the life, ministry, death and resurrection of Rabbi Yahshua fulfilled the Torah type and anti-type shadow pictures of the spring festivals as the Son of the God of Abraham and the Moshiach of the Jews. What we really do not know was whether this event occurred before or after the stoning and death of Stephen, the deacon who worshipped in the Synagogue of the Freeman in Jerusalem. The nemesis of the Nazarenes, Shaul, personally confronted James the Just and sought to destroy his life. It can be suggested that Rabbi Shaul, whom we know as the Apostle Paul owed something to Jacob (James the Just) in his prior attempt to take the his life. For the Nazarene Nasi, or high priest, for James the Just to accept Paul back into the fellowship of the Nazarenes, in spite of the prior attempt of Rabbi Shaul to kill him, says also something of the character of that man called, the Tzaddik (The Just). It might also fill in the blanks as to why the Apostle Paul was so dutifully loyal to James the Just in later years. As we shall later see, it is my opinion that the Apostle Paul and James the Just became close and personal friends, their respected each other for their positions as zealots of the Law of Moses. They both became fierce advocates that Jesus, the brother of James was truly the promised redeemer of Israel and they both gave their lives for allegiance to Jesus the Nazarene, who became the Christ. James lost his life by the hands of the same Sadducean families that sought to destroy his brother and Paul lost his life at the hands of the Romans, by the neurotic and half crazed emperor, Nero, who pitted the forces of Rome against the zealots of Judea, when Rome burned to the ground in 69 CE. The date of 36 CE in the minds of Christian historians is the most secure date in early Nazarene history. Yet this first date after the crucifixion of Jesus must be determined by an in depth look at the political and religious politics in Judea. Most historians consider that the stoning of Stephen occurred on this date, which was not long after Pontius Pilate was sent into exile for in part his mishandling the death of Jesus. At the same time most early church historians are biased to a 33-34 date for the crucifixion of Jesus for most reasons that have nothing to do with ideas that are Jewish or based on an understanding of Jewish laws or the Jewish feasts of the Lord. The three most prominent dates for the death and resurrection of Christ are 30, 33, or 34 CE. This author has ruled out the death on 33 CE because this date would not match the halachah observance of the Jewish festivals and be compatible with a literal reading of the Daniel prophecy that the “sacrifices and oblations will cease in the midst of the week.” It is also not compatible with the literal interpretation that the prophecy of Jonah that Jesus would be in the grave for three days and three nights. If date for the crucifixion of Jesus on 34 CE is tempting for on this date the Passover of the Lord and the crucifixion would have occurred on the Sabbatical Passover Sabbath. Yet this would give only two years to put together the leadership of the Hebrew Nazarene Ecclesia of Israel and to develop a ministry for the Jews of the diaspora that wanted to be apart of the Nazarene community. If the date for 30 CE is used, we then have seven years to develop the religious and political framework for the apostolic ecclesia in Jerusalem. The concept of seven years for the development of the Nazarenes is also a very Jewish idea. This author sees merit in both dates but does tend to lean towards a 30 CE date for the crucifixion of Jesus. Whether two years or seven years, the energies for the development of what would become a vibrant and dominate party in the Jewish economy will become evident. In the city of Jerusalem, the organizational structure of the ecclesia and the party of the Nazarenes begin to take shape. As we have seen James the brother of Jesus becomes the opposition high priest to the temple priestly hierarchy of the Sadducees. The Deputy Sagan, the Apostle John and the Ab-Beth-Din, the Apostle Peter begins their services as leaders in the congregation which soon numbers between eight to ten thousand. The Apostle Andrew apparently stays in the vicinity of Jerusalem. Matthew Levi the scribe and lawyer having good relationship with the Sadducee hierarchy make a good liaison public relations person with the Judean political leadership. Simon Zealotes, still a zealot for the Jewish cause remains in the political center of Judea and Judas Iscariot, the Sicarii, a man with murderous traits and traitor to his rabbinic master is found hanging from a tree. Was this intentional suicide or was he murdered by the Sicarii as a traitor to the cause of the zealots for turning Jesus over to the Sadducees and temple authorities to be put to the cross as a rebel aspirant to the throne of David. Joseph of Arimathea, a Roman Decurion and protected under Roman law and also a confidant of Pilate was still living in the vicinity of Jerusalem. He, a former member of the Sanhedrin and the Jewish Senate was now a fully revealed follower of Jesus and was stripped of his Sanhedrin membership. Under his Roman protection Joseph of Arimathea was able to protect the Bethany family, the extended family of Jesus including the brothers of Christ, Mary the mother of Jesus, Cleopas the brother to Joseph, Jesus’ father, Salome and the Zebedee family who were also relatives found respite from Jewish Sadducean persecution because of the powerful status of Joseph of Arimathea in the government of Rome. According to the Life of St. Mary Magdalene composed by Rabanus Maurus Archbishop of Mayence (776-856 CE) we have the history of the early ecclesia from the life of those closely associated with Mary Magdalene. The 16th century copy of the Life of St. Mary Magdalene is richly bound and ornate copy of Rabanus now in the Magdalene College Library at Oxford, contained six manuscripts and according to the author in the ‘Prologus’ stated that it was compiled from existing records and manuscripts of still older date. According to the Homilies of Rabanus, the hereditary estates of Joseph of Arimathea, reputed to be one of the richest men in Jerusalem, and the Bethany family who were children of a Syrian governor were all liquidated and the proceeds of these estates were given to the ecclesia for the ministry of the poor. Lazarus quickly finds a responsible position as the first bishop of Bethany and the home of Lazarus, Mary and Martha becomes a home ecclesia called a congregation and known for centuries later as a House of Prayer. The region of Samaria between Judea and Galilee in the heartland of Israel was the tribal lands of Manasseh, the son of Joseph. Here the remnants of the former citizens of the Nation of Israel amalgamated with the displaced peoples the Assyrians brought into Israel and a mixed population was formed. The Samaritans became bitter enemies of the returning Jews under the leadership of Zerubabbel and Ezra and every means to hinder or halt the building of the temple of the Lord or the protective barrier walls around the city. Samaria was the first of the lands that the evangelistic outreach went concerning the life and resurrection of Jesus. This interest in the life and ministry of Jesus was of critical importance of the early Nazarene leadership. The Deputy Sagan of the Nazarenes, the Apostle John and the Ab-Beth Din, the Apostle Peter were both sent to enhance this early revival on the heels of the Apostle Philip who first went north to Samaria right after the resurrection of Jesus. Because the converts and baptisms of the Samaritans to the Jewish Nazarene community were so great, into this mission went the two leading diplomats of the ecclesia, the apostles John and Simon Peter, went to help. A year later, we find Simon Peter going north into Antioch and subsequent to a vision he received of a sheet with unclean animals in which the Lord commanded him to eat, did he realize that significance that no longer were the gentiles to be recognized as unclean. The time has come to open the doors and invite the gentiles to participate in the richness and blessing of the Hebrew faith. The early Nazarenes were still fully Jewish and now a door would be made open with what was becoming the major sect of Judaism to the believers in the God of Israel. The Roman centurion, Cornelius was the first to be baptized with his family and as we shall see, Cornelius was soon to be transferred to Caesarea, and there was to also become the Roman protector of the Nazarene group of believers under the custody of Joseph of Arimathea living in that city. The son of Zebedee, the brother of John, the Apostle James also leaves soon after the crucifixion of Jesus and goes first to Sardinia and then on to the peninsula of Spain on the south-western European coast. Here was the homeland of the Spanish Israelites, the ancient children of Zarah, the son of Judah, the twin brother to Pharez, the ancestor of the Jews. 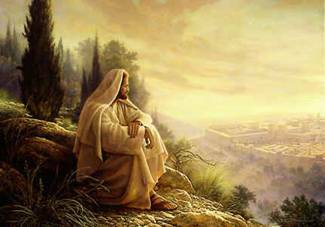 In the heartland of the Roman government we find the Apostle Bartholomew also called Nathanial traveling to take the message of the risen Christ to the Jews and Israelites in that city. In less than a decade, in 44 CE, we know that that a Senator Pudens is a convert to the ministry of Jesus and a friend of Peter, who for a short time was his house guest. One of his first converts was Clements, a Brit, who later would become the third Bishop of Rome, after Linus the Silurian prince who became the first bishop of Rome and Acletus, the second bishop. The Jewish synagogue quickly grew in the city of Rome and two of its leaders were Aquilla and Priscilla, who will be exiled in 44 CE and end up in Corinth as fellow believers in the ministry of Christ with the Apostle Paul, who works with their tallit making business while ministering in the city of Corinth. 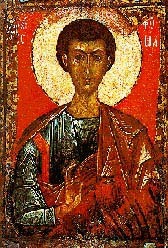 The Apostle Thomas was immediately contacted by the royal house of Syria in Edessa after the crucifixion of Jesus. Abgar Uhhama, king of Syria in Edessa was ill with arthritis and black leprosy. Hearing of the healing ministry of Jesus, he sent Ananias, his deputy seeking to bring Jesus to Edessa to heal him. When the deputy arrived in Jerusalem, he met Thomas, the disciple of Christ, who informed him of the death and resurrection of Jesus. According to this ancient story, Thomas gave the deputy the shroud which covered the body of Jesus had been wrapped within in the Tomb of Joseph of Arimathea, His uncle. Thomas told them that like the tallit of the tzaddiks, or the righteous Ones of Israel, this cloth had healing powers. The shroud was taken back to Edessa and King Abgar Uhhama was cured. The city of Edessa quickly became a favorite safe haven for the early Nazarene followers of Jesus and later the gentile Christians along the eastern regions of the Roman empire because it was known that they had a believing and sympathetic ruler. Sir John Marshall in 1924 conducted excavations in Taxila which included the monastery site. At cell 29, several statues were found of foreign dress, most with bare feet except the central sandaled statue. The Thomasonian Christians were recognized as one of the earliest branches of the Hebrew Nazarene Ecclesia of Jerusalem. It appears that the Apostle Thomas left early, not too soon after the crucifixion. The Thomasonian Christian was known early as the Syrian Christian because of the ties they had with the Christians at Edessa, Syria until 325 AD. During this time, they were called the ‘Nazarenes’. It is fact that the representative from India to the Council of Nicea in 325 AD signed himself as Bishop John of all Persia and Greater India. The Roman Census was completed 34-35 CE and the Jewish society was still upset and restless due to the imposition of the fourteenth year Roman census and taxes after a Sabbatical Passover Year. Yet, the final straw that led to the demise of Pilate’s rule was the sudden and harsh treatment by Pilate against the Samaritans as noted in Josephus. (Josephus, Antiquities of the Jews, XVIII, 4:1-3). To improve his public image, Pilate sought to build an aqueduct to bring water from a stream over 200 furlongs away from the city of Jerusalem. He made though the fateful decision to pay for the aqueduct by ‘sacred money’ that he had taken from the treasuries of the temple. With actions like this by the Roman authorities, the Zealots and the Sicarii of the Jews soon learned that politics was to be played differently. It was the Romans from whom the Sicarii, the assassin squads learned the art of stealth and assassination by carrying daggers under their cloaks. 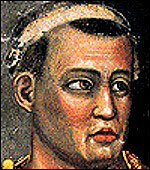 Was it not Julius Caesar who was cut down on the floor of the Senate in 44 BCE by Brutus? The oppressed learned from the masters. Before Pilate could reach Rome and testify to Tiberius Caesar, the emperor died in March, 37 CE and was succeeded by Gaius Caligula and yet, no procurator had been appointed in the interim. Gaius later officially banished Pilate to Gaul, near the modern city of Lyon, France at Vienne-sur-Rhone, which was basically a Roman resort, safe and outside the political arena of Rome. Yet Pontius Pilate was not safe to himself. Later in the reign of Caligula, he committed suicide. Vitellius therefore then deposed Caiaphas as high priest of the house of Annas yet in order not to offend this wealthy dynasty, he in tern, appointed Jonathan Ananias, son of Annas, to be High Priest on his visit to Jerusalem also in the fall of 36 CE. Since there was no Roman appointee between the fall of 36 CE and the Spring 37 CE, Jonathan Ananias was given the power of defacto rulership over the Jewish population. This was letting the “fox guard the chicken house”. The Roman legate was involved in the preparation for war with the Arab Nabathean ruler, Arêtes, who had militarily routed the forces of Herod and political and religious matters of Judah were left in the hands of Jonathan, the High Priest. From probably the fall festival of Yom Kippur, 36 CE to the spring Passover, 37 CE, Jonathan had full reign to take revenge on the infant Nazarene Ecclesia, especially against the Hellenistic sector, in which Stephen, the deacon was a prominent spokesperson. Not fearing the popular sympathy, Stephen, a foreign Jew and a Nazarene supporter, became the scapegoat and the first martyr for the cause of Jesus in 36 CE. Vitellius the Roman legate then went to Jerusalem as the guest of Herod Antipas and was “magnificently received” by the Jews. Besides remitting the taxes back to the Jews on the purchase of fruit, the vestments of the high priest were removed from the custody of the Romans in the lockers at the tower of the Fort Antonia and their custody was given to the custody of Herod Antipas, thereby allowing the high priest to retain custody of the high priestly vestments which was a source of Jewish resentment. This point will be considered later in reference to Jacob the Just. The Beams of Light Reach Britain in the latter Part of The Reign of Tiberius Caesar.